We were pleased to branch into the consumer electronics sector when we took on board new client and laptop specialist Lenovo! 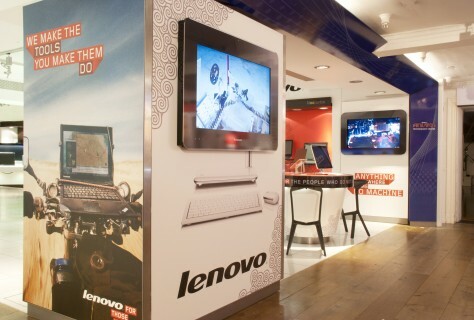 Working with their team in the US we produced this stunning branded space for Lenovo in Harrods. 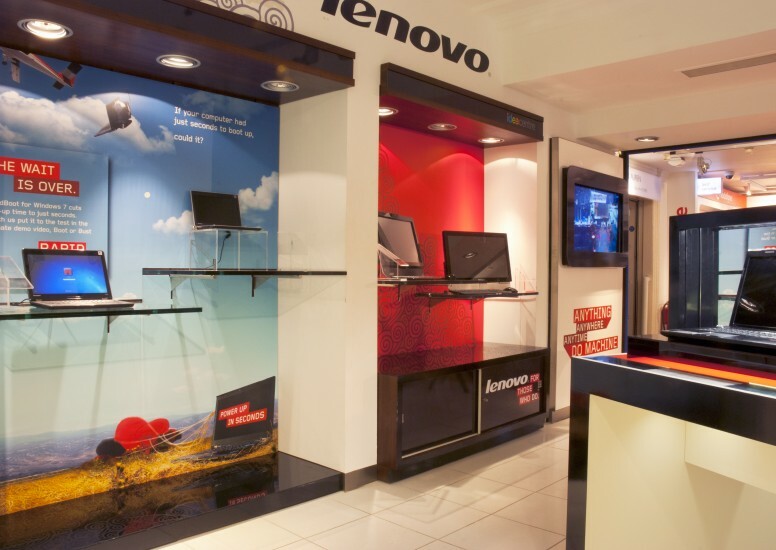 The brief was to make a Lenovo shop in shop stand out in store and compliment the product for existing and new consumers. 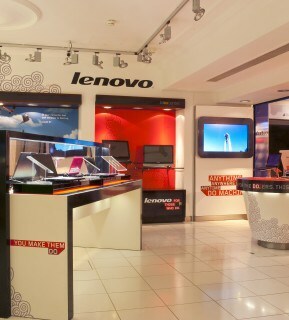 The treatment included wall graphics, branded elements and strap lines from Lenovo new brand look and feel. The area focused on demos and interaction to get everyone involved and submerged into the new brand. The main feature was an oversized laptop which played their new advertising campaigns which projected from the wall. We have since worked with Lenovo on a number of design projects.